Reactor compartment polar crane was used to execute the procedure. All the core internals are currently delivered to the +26.000 elevation of the reactor building. “Clean area” required for the controlled reactor assembly was arranged. The assembly will be performed by the MSU-90 first area and Mechanization and Motor Transport Department (“Titan-2” holding) specialists. 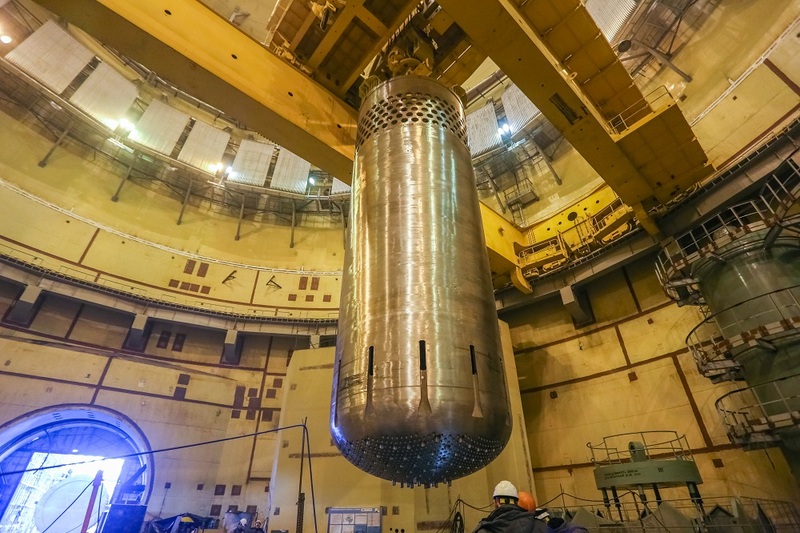 Reactor cavity is one of the core internals weighing 76 tons. Later on it will house fuel rod array with nuclear fuel. Titan-2 employees did a rollover of the cavity, i.e. put it into vertical position using the crane and lowered into the spent fuel shaft. This is required to install a 2-piece core baffle into the reactor cavity.